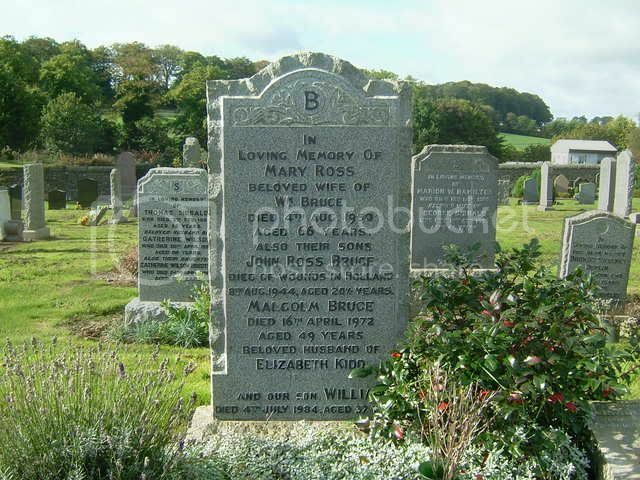 Additional information: Husband of Margaret Robertson, of Haggs Cottages, Dalmahoy, Kirknewton, Midlothian. Additional information: Son of E. Watmore, of Newbridge. Grave/Memorial Reference: Sec. H. Grave 475. 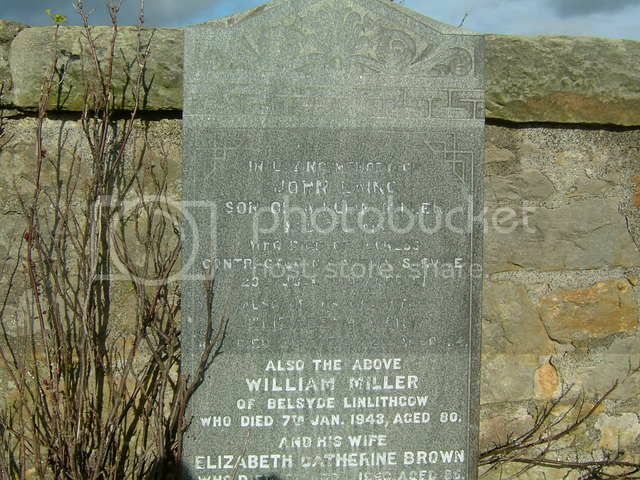 Additional information: Son of James and Jane Anthony, of Kirknewton, Midlothian. Grave/Memorial Reference: 4A. L. 9. An early war death, note this airman's rank. Soon after this all aircrew on bomber raids were at least a Sergeant. "Serial Range L4032 - L4211. 180 HP Hampden B.1s. Delivered by Handley Page (Cricklewood) between Aug38 and Jun39. First production order. L4032 had Wright Cyclone engines experimentally installed. L4038; L4041; L4075; L4076; L4086; L4091; L4105; L4115; L4118; L4141; L4144; L4150; L4170; L4196; L4201; L4204 were converted to Hampden TB. (Torpedo Bomber). Airborne 0640 from Hemswell. At apx 1000 this Hampden crashed into the sea between Heligoland and Wangerooge, probably shot down by Oblt Gunther Specht (See L4121). L4126 was one of five 144 Sqdn Hampdens lost on this operation. See: L4121; L4127; L4132; L4134 F/O R.D.Baughan PoW Sgt N.M.Kirkus KIA AC1 J.Anthony KIA Sgt H.H.Turner KIA F/O R.D.Baughan was interned in Camps 9AG/L3. PoW No.634. Sgt Kirkus's elder brother, P/O C.F.Kirkus, was destined to to be KIA 14Sep42. See: BJ789. " 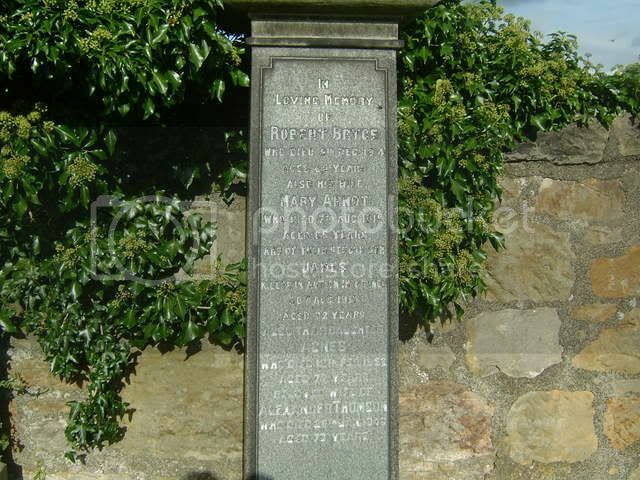 Additional information: Son of William and Mary Bruce, of Newbridge, Midlothian. Grave/Memorial Reference: Plot KK. Grave 210. Aged 32 at death. 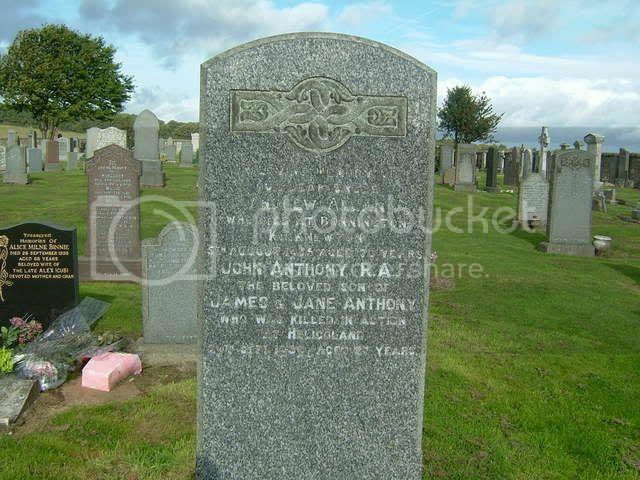 Parents Robert Bruce (died 5.12.1914) and Mary Arnot who died 23 days before her second son James. Secondary Unit Text: attd. "B" Bty. 159th Bde. 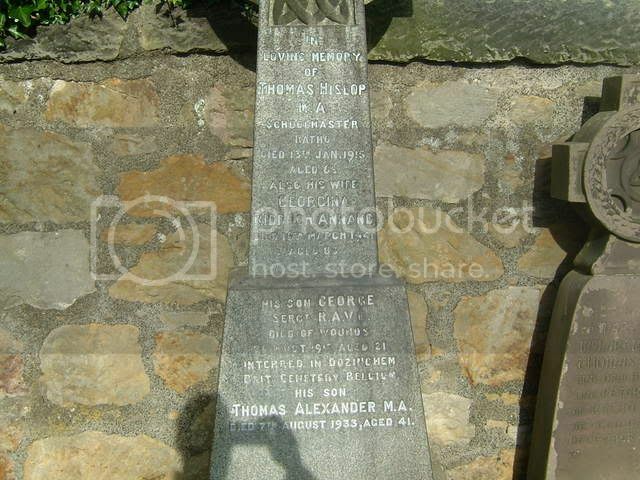 Additional information: Son of Thomas and Georgina Hislop, of 121, Dalkeith Rd., Edinburgh. Native of Ratho, Edinburgh. Grave/Memorial Reference: X. D. 23. 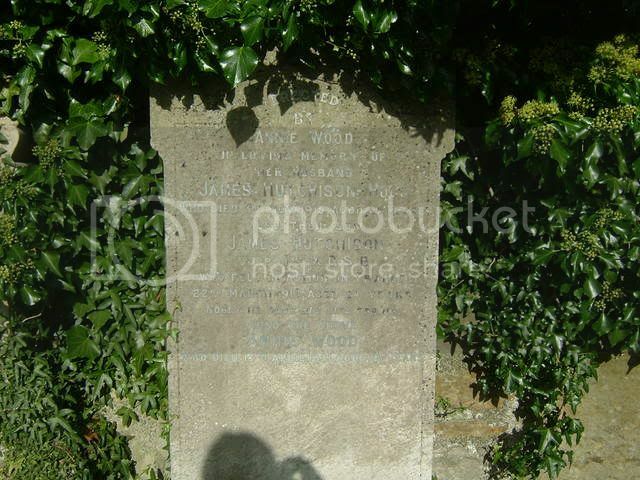 Additional information: Son of Annie Hogg, of Wallace Place, Pathhead Ford, Edinburgh, and the late James Hogg. My g-g-uncle, Peter Paterson (1892-1917). 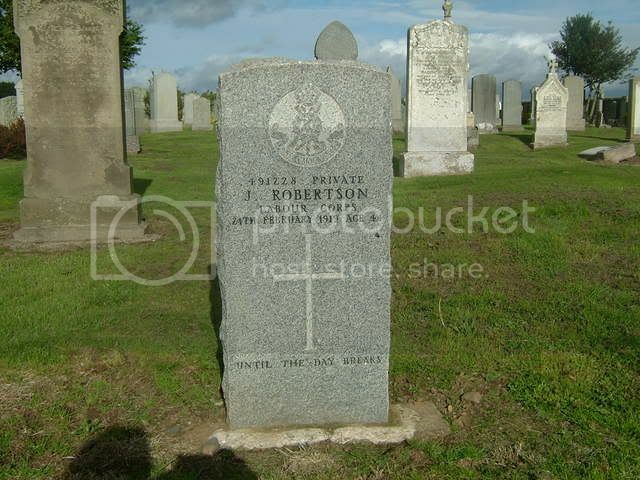 I do have a photo of the family headstone, but the text is difficult to read, being gold paint on dark speckled granite(? ).